This layout, originally built as an On16.5 (7mm narrow gauge) which I swapped for a load of O9 stock, but unfortunately, was caught up in a storm we had which destroyed part of our roof and damaged the shed it was kept in, causing a great amount of rainwater and a tree branch to destroy most of the scenics and baseboard top. Luckily, most of the buildings have survived. So, I have now decided to rebuild it as an O9 layout, so I can attend some exhibitions locally in Summer 2019. "The Fictitious Hockenhull railway runs along the river Gowy, Cheshire from Hockenhall to connect with the main line at Saighton. The line serves local Estates a number of flour mills and a Salt works. It was originally intended that the railway would continue east but financial restraints quashed any progress. 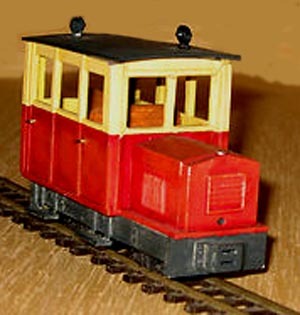 The motive power consists of worn-out Hunslet and Peckett tank engines from the welsh quarries. These like the stock have seen better days and will no doubt see their final days on the Line." My take on Hockenhull Platts is that in early 2014, a group of Narrow Gauge lovers got to relay the line and intend to run leisure services using an odd collection of diesel and steam locomotives, railbuses, coaches and wagons, something along the lines of the new (now closed) Penrhyn Railway at Bethesda or the Teifi Valley Railway at Henllan/Newcastle Emlyn. Left to right: "rebuilt" Pepper 7/Avalon Steam tram, Teebee skirted steam loco, Unit Models diesel shunter, Avalon Railbus (needs roof finding! 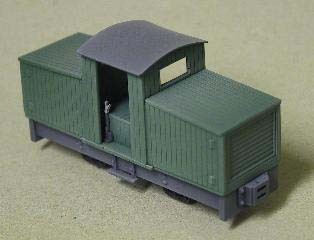 ), Ebay win Miniature Railway steam loco and Teebee Diesel shunter. 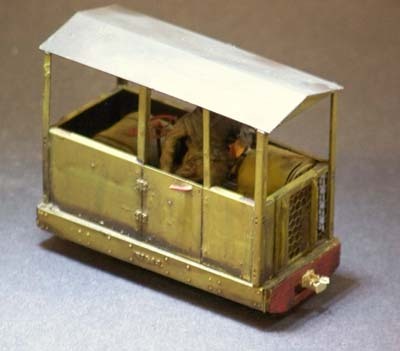 All working, on Kato chassis, (apart from green steam loco,w hich is on a Bachmann 6 wheel diesel chassis) but need couplings, painting, crew and weathering. 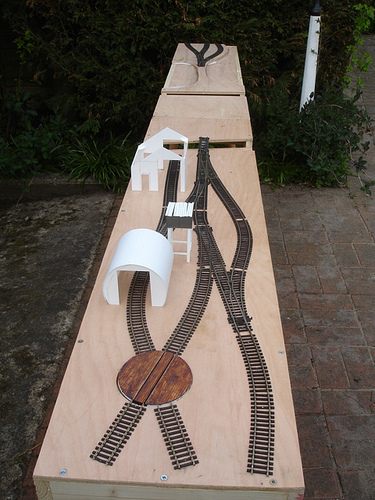 All the boards are built and the trackwork is presently being laid. The buildings are being located from their storage boxes. The boards are all one foot wide and around three foot, six inches long, apart from the turntable/river board, which is four foot, four inches long. Over the last couple of days, we were hit by Storm Erik, which managed to take half the ridge tiles off the roof, which damaged some of the roof tiles as well - as the last 'roofers' hadn't secured to the roof properly, with screws into the joists or cement. Anyhow, the roof has now been fixed properly (hopefully), so I can now get on with some modelling! Stopped at Walk Mill for a coffee/cafes (superb!!!) and a bag of ground wholemeal flour!!! 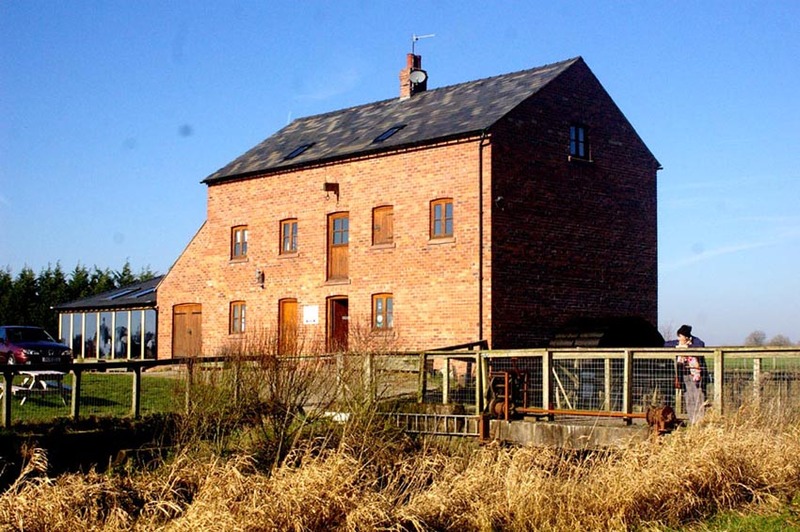 Took plenty of photographs of the mill (although it is a new build in 2008, it's built on the footprint of an earlier fulling mill, dating back to 1200AD). 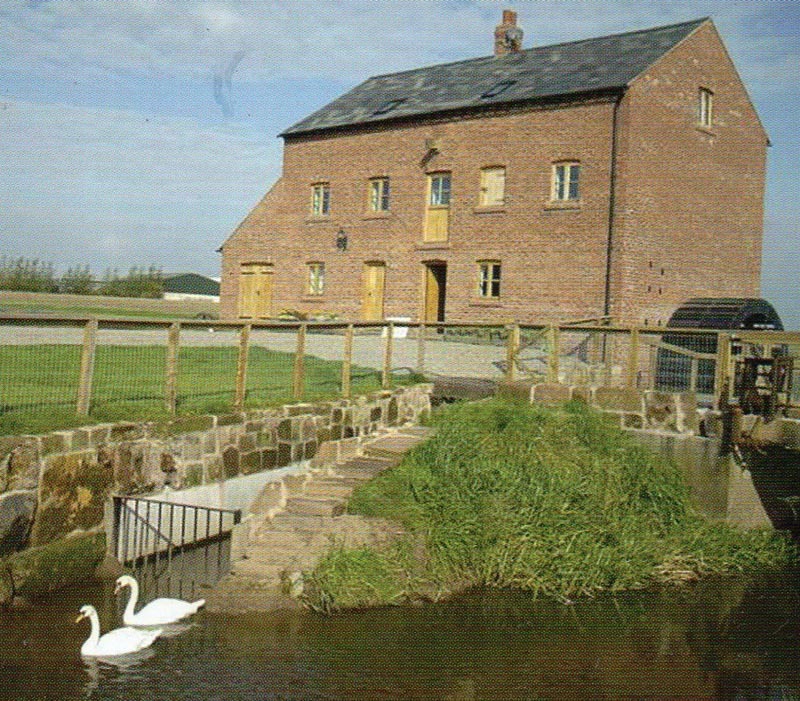 Above: From Walk Mill's website: www.walkmillsflour.co.uk - as it was when we first visited.